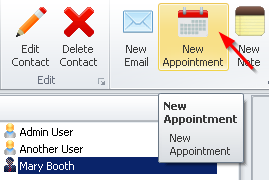 Click the Contact you would like to create an appointment for and click 'New Appointment'. 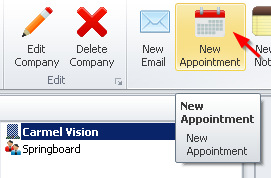 or click the Company you would like to create an appointment for and click 'New Appointment'. Alternatively. 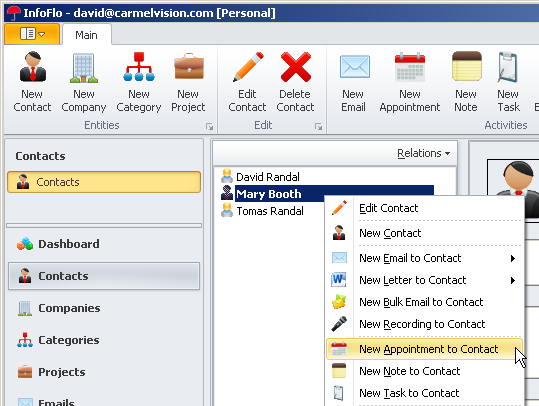 right click the Contact you would like to create an appoint for and click 'New Appointment to Contact'. 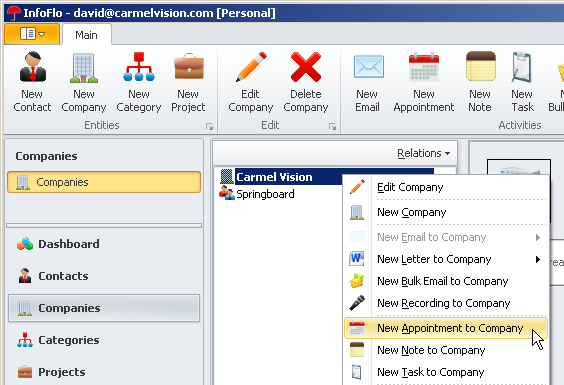 To add a new appointment to a Company, right click the Company and click 'New Appointment to Company'.